Remodeled waterfront home on one full acre. 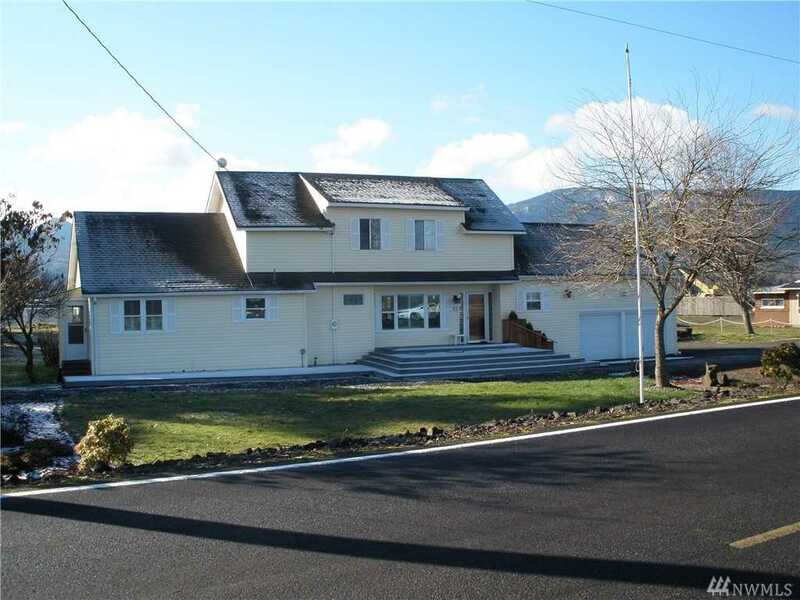 Located on the Columbia River ship channel with 112 ft of waterfront. enjoy Salmon fishing, swimming, bird watching, or even pull your boat up on your own beach. This large home has a great kitchen, three bedrooms with extra rooms for hobbies, etc. Large parking area, outbuildings and even a small barn. Trex patio in the front and a great deck in the back with pastures all around and even wired to fully mounted generator. Tideland rights included. Directions:SR4 to Cathlamet SR409 thru town, across bridge, across Puget Island to Sunny Sands. Left on Sunny Sands to 92 E. Sunny Sands. SchoolsClick map icons below to view information for schools near 92 E Sunny Sands Rd Cathlamet, WA 98612. All listings featuring the icon are provided courtesy of the Northwest Multiple Listing Service (NWMLS), Copyright 2019. All rights reserved. The database information herein is provided from and copyrighted by the Northwest Multiple Listing Service (NWMLS). NWMLS data may not be reproduced or redistributed and is only for people viewing this site. All information provided is deemed reliable but is not guaranteed and should be independently verified. The information contained in these listings has not been verified by Coldwell Banker Bain and should be verified by the buyer. All properties are subject to prior sale or withdrawal. All rights are reserved by copyright. Property locations as displayed on any map are best approximations only and exact locations should be independently verified. Listing information last updated on Wednesday, April 24, 2019 at 4:22 AM PST. Cathlamet Real Estate at 92 E Sunny Sands Rd Cathlamet, WA 98612. Description: The real estate listing at 92 E Sunny Sands Rd Cathlamet, WA 98612 with the MLS# 1409480 has been on the Cathlamet market for 76 days. This property located in the Puget Island subdivision is currently listed for $425,000. You are currently viewing the property details of the NWMLS listing at 92 E Sunny Sands Rd Cathlamet, WA 98612, which features 3 bedrooms and 3 bathrooms, and has approximately 3254 sq.ft. of living area.